Tidewater Virginia is home to numerous cities, towns, and communities. The region includes communities along the Chesapeake Bay and its tributaries, the seven cities of Hampton Roads, and other areas. The Middle Peninsula includes the communities of Gloucester, Tappahannock, Deltaville, and Urbanna. Several communities are located on the Lower Peninsula, including Williamsburg, Jamestown, Yorktown, Poquoson, Newport News, and Hampton. 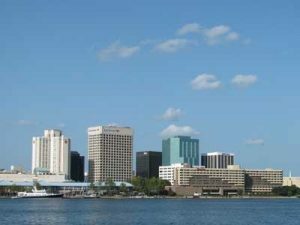 The Hampton Roads region of Virginia includes Norfolk, Portsmouth, Newport News, Chesapeake, Hampton, Virginia Beach, and Suffolk. The Eastern Shore of Virginia is home to numerous small, historic towns and villages. Among the best known are Chincoteague Island, Onancock, Wachapreague, Nassawadox, and Cape Charles.